Lightweight and thin but still insulating quality fleece with generous 2-way stretch. 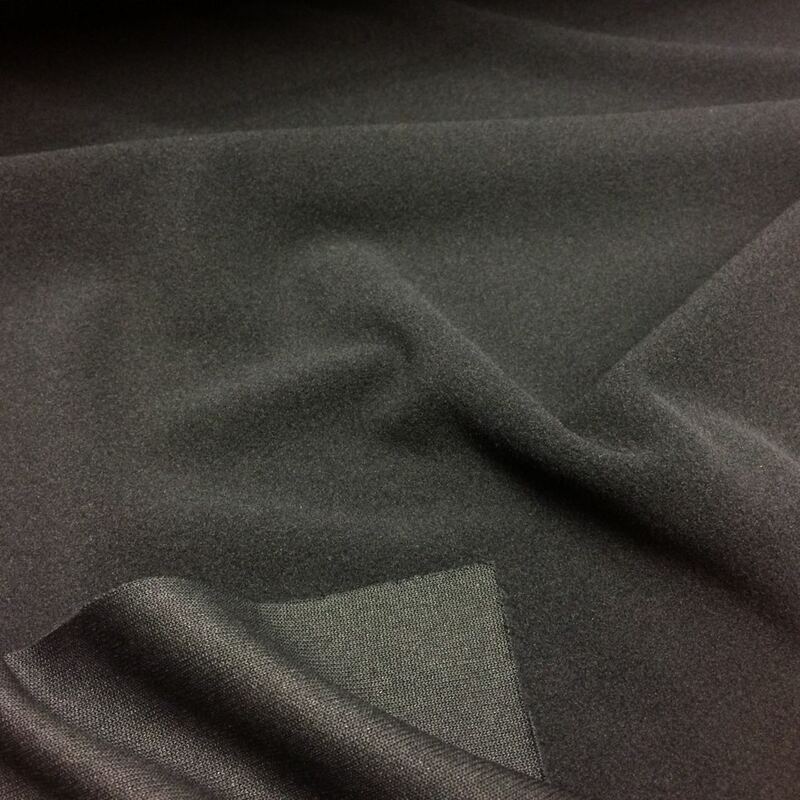 This fabric has a fleece surface on the right side and smooth surface on the back side. You can use it both ways. For neck and cuff linings, thin midlayer clothings, and more.